Emma hollered back, “feathers, yo!” And she proceeded to tell me how to get the look. First thing first, paint your nail with base coat. 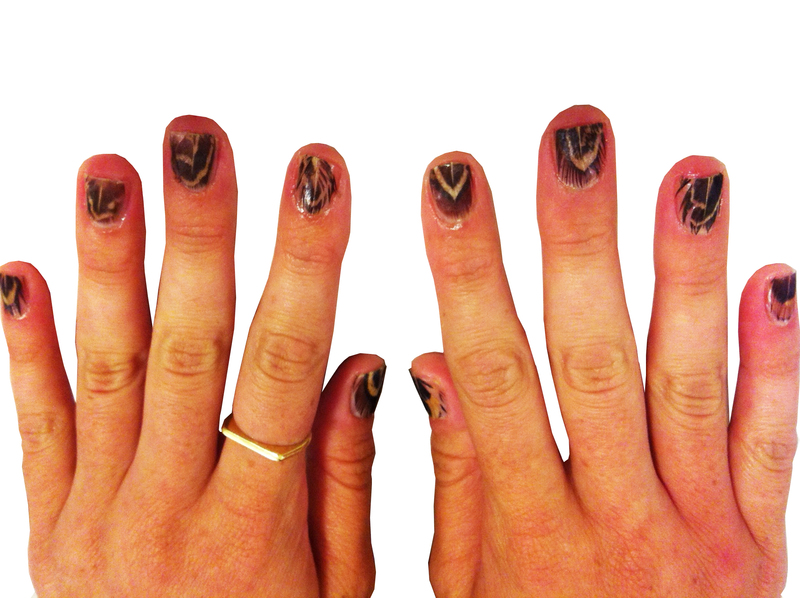 While the base coat is still wet, take a feather, and stick it to your nail. 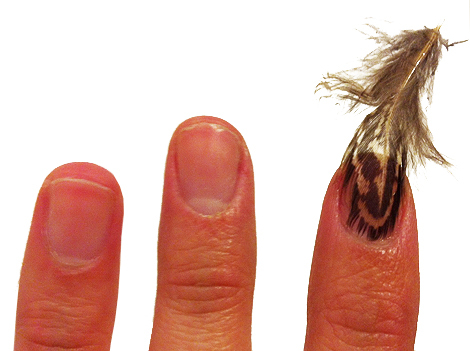 You will notice that the end of the feather fits very nicely against the contour of your nail! 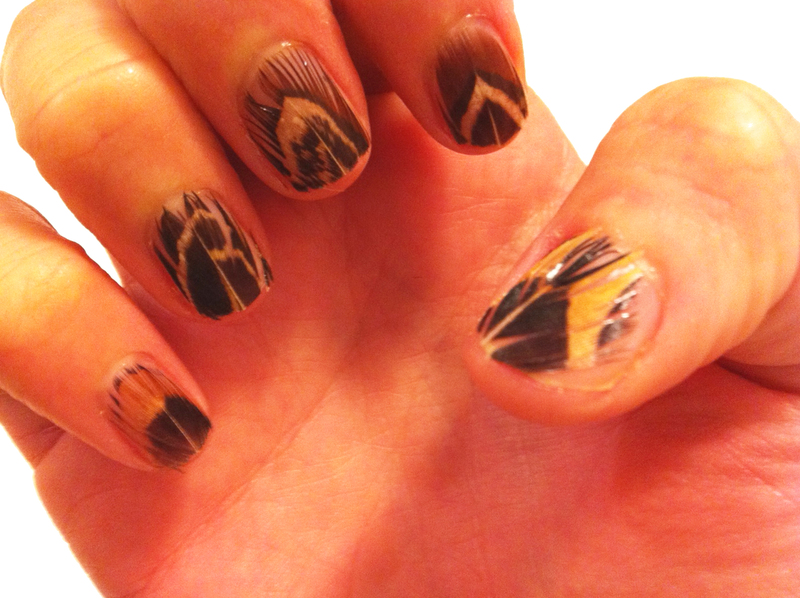 Let the base coat dry a bit so that the feather is stuck firmly onto your nail. 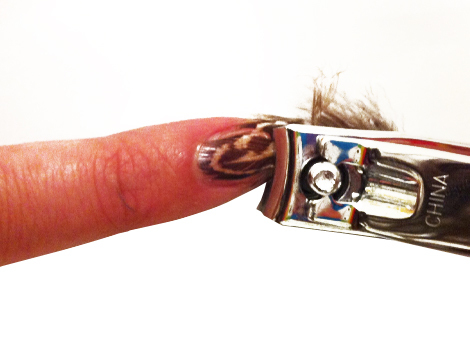 When dry, take your nail clippers, and trim all the excess part of the feather that is hanging off of your nail. 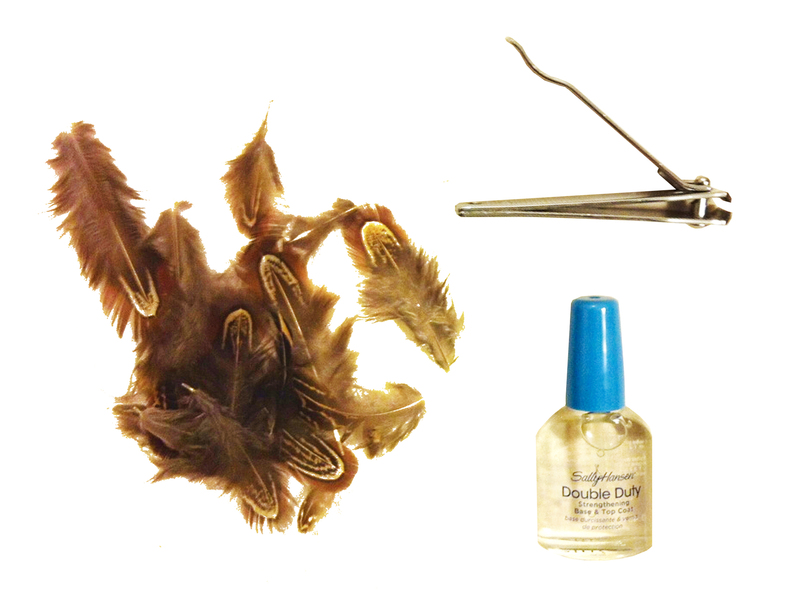 Once all ten fingers have been tended to, paint top coat on top of the trimmed feathers, and let your nails dry. Please note: This manicure might get kind of, eh, hairy after a couple of days, so feel free to reapply top coat as you see fit! can you take it off with nail polish remover or does it just shed into oblivion? You could use a peel of base coat! Will this work for toenails as well? TOEtally. Give it a try and share some pics!